We are fully stocked with a variety of stone, mulch and soil available in bulk and by the bag. When buying in bulk, delivery is available (call for pricing and minimums). If you have a truck, we can load you up. Small trucks are okay! Using wallstone can create a dramatic effect to your landscape! 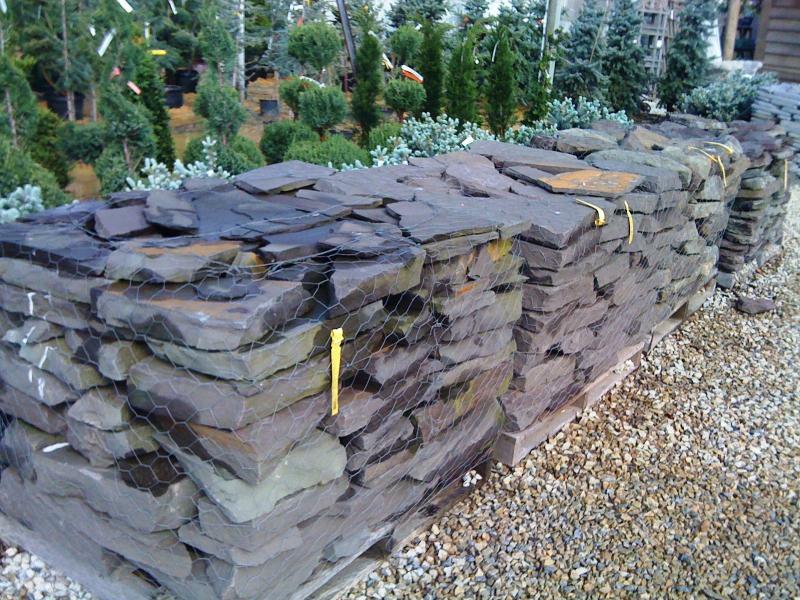 We carry wallstone in a variety of styles, colors, and thickness. 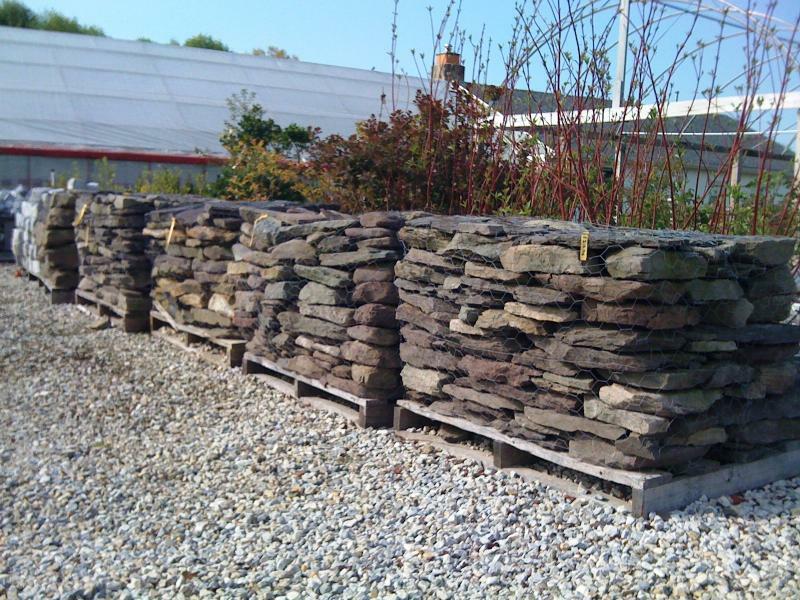 Our wallstone can be purchased in 1/4 pallets, 1/2 pallets, and full pallets. Additionally, we carry boulders big and small and a variety of stepping stones. Please Click Here to Contact Us for current availability and pricing.